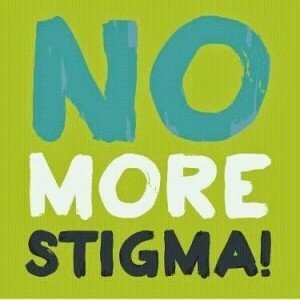 A mental illness is a condition that affects a person's thinking, feeling or mood. Such conditions may affect someone's ability to relate to others and function each day. Each person will have different experiences, even people with the same diagnosis. 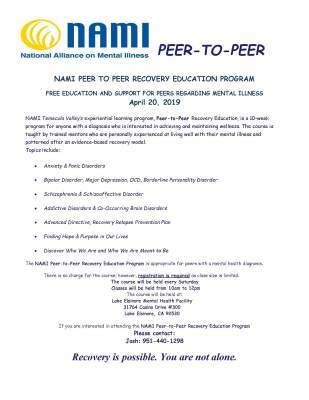 Peers have many resources. Check out the calendar page for some of the groups and events, or better yet give our resource line a call at 951-672-2089. You are not alone in your suffering. 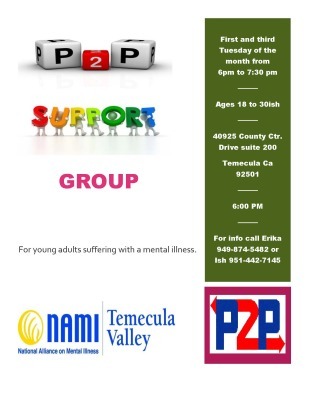 Find support, hope, and resources in this peer led support group open to all peers ages 18 and up. 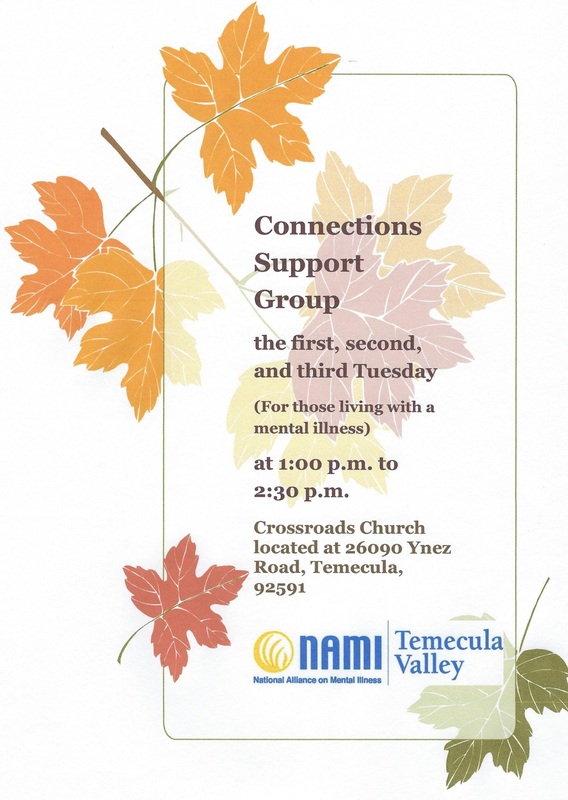 Meets the first, second, and third Tuesday at Crossroads Church from 1pm to 3:30pm. Check out the calendar for events and information. Mental health services and supports are available and the earlier you access them the better. 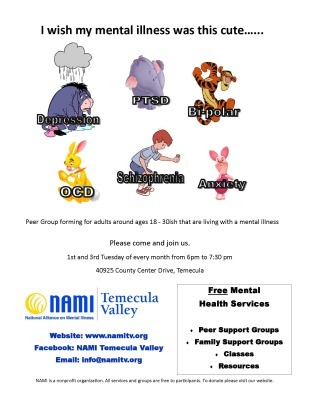 Many teens and young adults live full lives with a mental health condition. More and more teens and young adults are speaking out about their experiences and connecting with others. Check out the national Ok2Talk to see what others are saying. You are not alone—there are others out there going through the same things you are. Meets the first and third Tuesday of each month at the NAMITV Center from 6pm to 7:30pm. Check out the calendar for events and information.